Products that charge performance fees remain barred from the new tax-free savings accounts that kick in on March 1, according to the final regulations publishes on February 20. However, National Treasury has indicated a willingness to to be flexible on this and other issues further down the line. Treasury has confirmed that each member of a family, no matter how old, can open a tax-free savings account. That means a couple with two children, including newborns, could invest up to R120,000 a year tax free, given the limit per individual of R30,000 a year. Another important point is that the accounts are not limited to South African citizens. “In one conversation the issue of an ID number to open an account was raised, but that doesn’t appear anywhere, so a person of any age and any nationality can open such an account,” says Citadel general manager: products, Wilhelm Söhnge, who was involved in discussions with government as part of the industry feedback process. 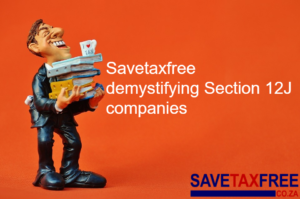 However, tax-free accounts cannot be opened in the name of a company or trust. That will be a huge relief for investment management companies, particularly the larger ones with numerous funds. Across the industry, the source pointed out, it would have meant thousands of duplicate funds having to be produced with each fund having a class for retail investors and another class for tax-free account investors. He says many hybrid funds such as funds of funds and multi-managed funds have a portion with a performance fee – often the offshore component – so they will be barred from the tax-free accounts. He says while hedge funds are also excluded, Treasury indicated it was open to including them once they were regulated. Similarly, underlying investments cannot include smoothed bonus portfolios or other products in which some of the investment returns are withheld. A smoothed bonus product holds back a portion of the returns in years of good performance and adds them during bad years, providing consistent returns to the investor. Furthermore, underlying investments that pay bonuses if you stay invested for a particular term are also excluded. Savings products that can be used as transactional accounts are not allowed. Debit or stop orders and ATM transactions will not be permitted features of the accounts. On the issue of barring straight equity investments, Söhnge believed Treasury was concerned that investors would use the tax-free account as a platform for a speculative portfolio with high churning of stocks. The stipulation prevening users from converting and existing investment into the tax-free account stands. Investors will have to cash in the original investment, which usually carries costs. However, Treasury is conisdering allowing low-income earners to do so, but only at a future date. In the first year, investors may not transfer the account from one service provider to another as it will be regarded as a new investment. However, this will be allowed further down the line — Treasury has to develop regulations to enable it. The Taxation Laws Amendment Act that contains the enabling provisions for tax-free accounts was promulgated on 201 January. For everything you need to know about the tax-free savings accounts, click here.